This is "Women Only" Jiu-Jitsu. It is for women, and taught by women. You will learn from talented, highly skilled, and patient women Black Belts like Nirit Blocker, who is the only woman to ever receive a Black Belt from world champions like Dean Lister and Navy SEAL heroes like Jocko Willink. Classes are beginner friendly, but will accomodate those who are more advance, and no gear or uniforms are required. Come have fun, and learn these life saving self defense skills that will last a lifetime. 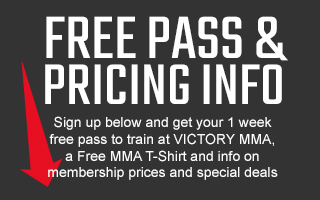 And there are no Jiu-Jitsu contracts to sign at Victory. You “Pay As You Go,” and cancel your membership if you need to, with no cancelation fee. We guarantee the best Women's Jiu-Jitsu instruction, a clean and professional environment, and the upmost in customer service, or your money back! Owner and Brazilian Jiu-Jitsu black belt Jocko Willink is a 20 year veteran Navy SEAL. Knowing the importance of Jiu-Jitsu in combat, self-defense, and Mixed Martial Arts, Jocko focused on bringing the best instructors to Victory MMA. In this effort, he brought ten world-class BJJ Black Belts to serve members in their individual effort to learn and become proficient in the unmatched art of Brazilian Jiu-Jitsu. To teach our "Women Only" Jiu-Jitsu Program, Jocko chose Nirit Blocker, the only women that he, along with Dean Lister, ever promoted to black belt. Nirit has practiced Jiu Jitsu at Victory MMA under Jocko and Dean for the last 12 years, affording her a unique skill set as a highly skilled practitioner, and an attentive, caring, and passionate Instructor. The Victory Women's Only Jiu-Jitsu Program offers the best classes and learning experience in a fun and friendly environment. Join for only $99.00 a month, or less depending on current sales and qualifying military or other discounts, and enjoy more than just the best Wonen's Jiu-Jitsu in San Diego. Your membership also includes Boxing classes, Kickboxing classes, CrossFit classes, and Bootcamp classes, as well as unlimited “Guest Pass Privilages,” private showers, sauna, acupuncture and massage services, a large lounge to socialize and prepare for your classes, and team building social events.